What sounds like an impossible camera is said to be on market this year. And this camera is designed for consumers. 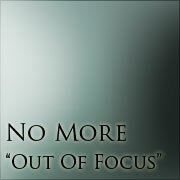 This might be a huge change in Photography since it was invented in 1800s. Lately, I use iPhone’s to mess around with photos. So, I don’t use web based photo generators much anymore. Still, there are so many that work so good. And, they are all free. I don’t know how they do that. 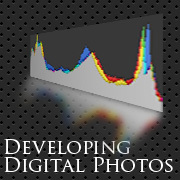 What do you do with your digital photos? I usually want to change the colour a little bit so I usually shoot RAW and develop them before I print. 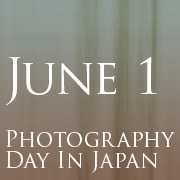 June 1 is Photography day, here in Japan. 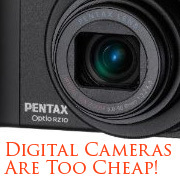 Digital Cameras Are Too Cheap! I really can’t tell the reason but prices of compact digital cameras are going down all the time. The one I got curious about is Pentax Optio RZ-10. I happen to have a chance to play with it for awhile. 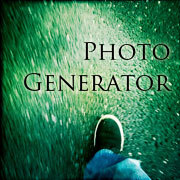 I’ve posted an article about photo generator and this is its sequel. This time, I’ve chosen funny ones. What would you do after you’ve taken photos? It’s maybe because I sometimes work as a photographer, I don’t really know what to do with my private photos. 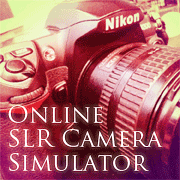 If I had this simulator when I was a kid, I didn’t have to spend my allowances on my “bad” photos to be developed. With digital, you can experience so much virtually and I’m a bit envious. 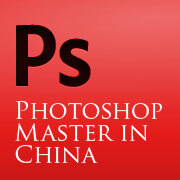 Russell Brown of Adobe is famous as a photoshop master, but here comes another master from China who is 76years old!! Do you ever leave your camera behind and lose it? I don’t. 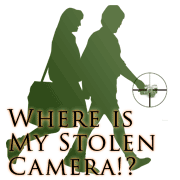 Well, it seems that losing a camera is not rare and I just found a site for those who lost their cameras.